Primitivo Collantes is one of the true unsung heroes of the so called sherry revolution. He and his wines are from the Southernmost tip of el marco in Chiclana – outside the traditional centres of Jerez, Sanlucar and el Puerto – but the wines are as good as any that you will find from El Marco and on Monday Primitivo himself gave a masterclass on the new wine making in the region to a packed house in Enoteca Barolo. A really excellent tasting in fact. As you can see above, we had explanations of the geography and climate, sobretablas from different soils, samples of the soils themselves (including from the famous Finca Matalian), wines of different styles and at different stages of ageing, explanations of the major choices made in making the wines and some really neat nuggets of technical wisdom. 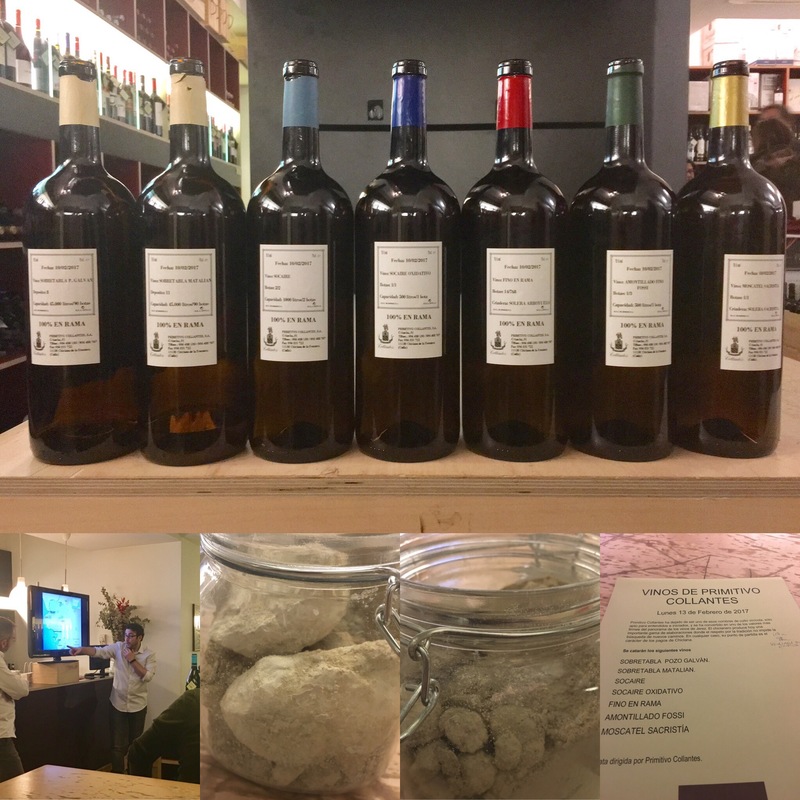 Most importantly, the wines were cracking – Socaire, the Arroyuelo Fino en Rama and Amontillado Fossi you may have already heard of, but we also had the chance to try a Socaire with a touch of oxidation from an additional 8 months ageing and a frankly beautiful, elegant, light and spritely fifty year old moscatel. As always, will take me sometime to write up my notes – for the time being my congratulations to Enoteca Barolo and the man himself. Bravo!